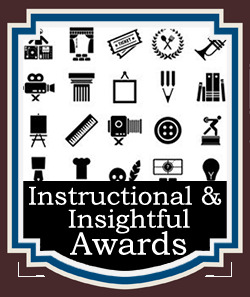 ALL First In Category Award Winners will be given high visibility during the Chanticleer Authors Conference and Awards Gala. First in Category award winner will compete for the Non-fiction Book Awards Grand Prize Award for Chanticleer Non-fiction Book Awards' Grand Prize Ribbon and badges. 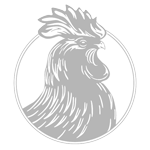 A coveted Chanticleer Book Review valued at $425 dollars U.S. CBR reviews will be published in the Chanticleer Reviews magazine in chronological order. And the 1st Place Award winners will automatically be entered into the NON-FICTION GUIDEBOOKS AND HOW-TO BOOKS GRAND PRIZE AWARD competition 2018! If your work is memoir, autobiographical, biographical, personal experience based or about personal journeys, or narrative non-fiction, please visit the JOURNEYS Awards page regarding submissions. Book may be Self-published, Indie Published or Traditionally Published. E-pubbed books will be accepted in this division if they have ISBN/ASIN Designation. Files submitted must be in PDF or Word files. Epubs are also accepted. Works published before January 1, 2016 will not be disqualified. Fees and e-pub file must be received before December 31, 2019 midnight. You may enter more than one work into a given contest. Prize and Award packages may change without notice. Award winners living outside of the U.S.A. are responsible for any shipping and handling costs for ribbons, adhesive stickers, and other tangible items to be mailed/shipped to them. Your book may be eligible for Chanticleer trade show representation as we show off our winners at conferences and trade shows across the US and Internationally. We like to show off our winners in as many ways as we can.